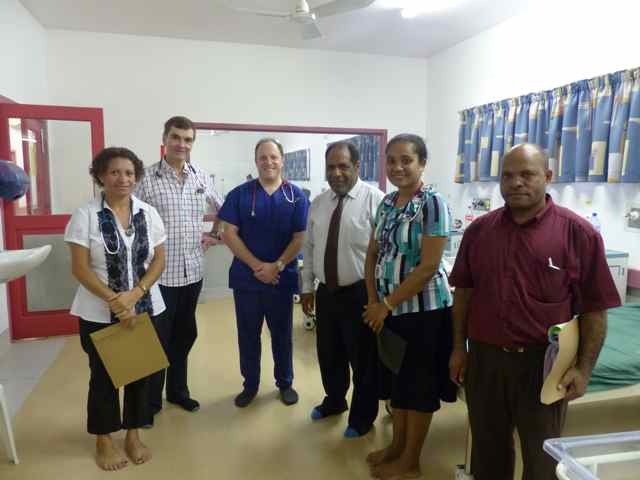 We have two OHI intensivist doctors with us in PNG, George who is working on the General ICU project and Kevin who is our paediatric cardiac intensivist. They were asked to lend a hand to a case with a difference today. 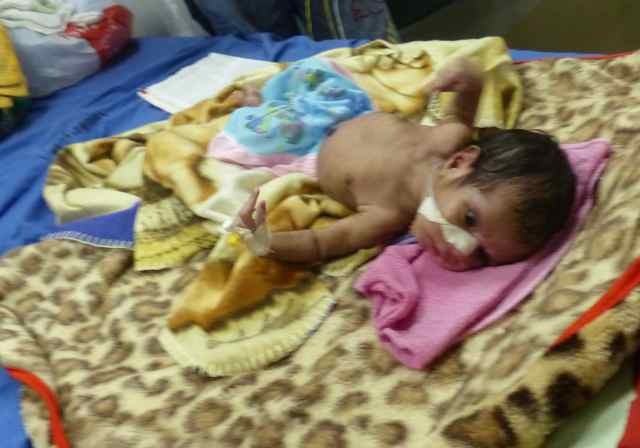 Betty’s 3-week-old baby daughter is having respiratory complications. 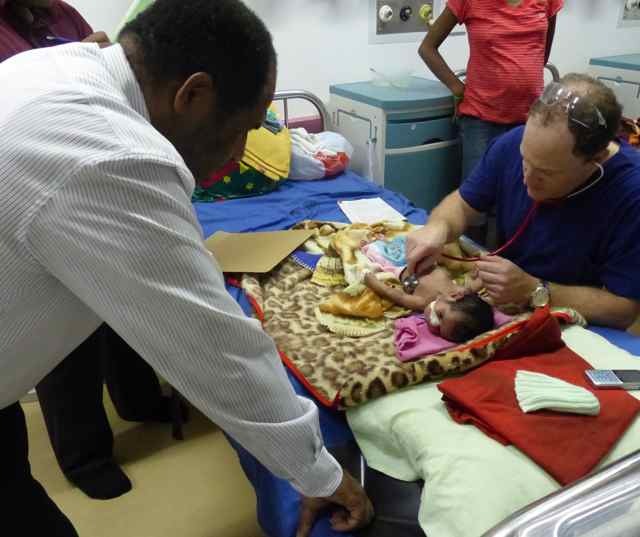 George and Kevin were asked for their professional opinions from the local paediatricians and paediatric surgeons regarding the diagnosis and treatment of the baby girl. 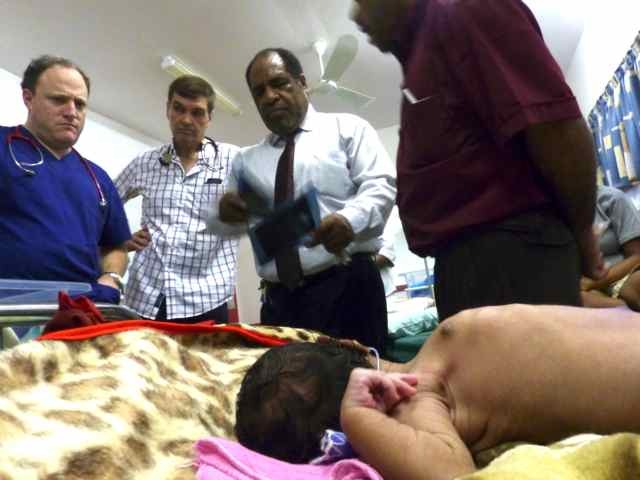 If the newborn girl had needed surgery post-op, she would likely be in the general ICU in Port Moresby Hospital under the care of George. As George specializes in adult care he would have required assistance from Kevin. It’s a great thing to see not only our team working together so well, but also not hesitating to lend a hand wherever they can. The little girl was in the neonatal wing with all the newborn babies, it was a very adorable place to visit. On a side note, Darren, one of anaesthetists said, “there are only cute babies born there”. We think there may be one exception to this – Darren, was actually born here in PNG at Port Moresby General Hospital. I’m happy to report that the little baby girl did not require the surgery they thought she might, and she will receive much gentle treatments instead.